This low-fat healthier version of pasta primavera will be a welcome addition to your weeknight dinner options. It’s no secret that I love Greek Yogurt, so when I got an email from Chobani Yogurtabout using their product in a post, I jumped at the chance! 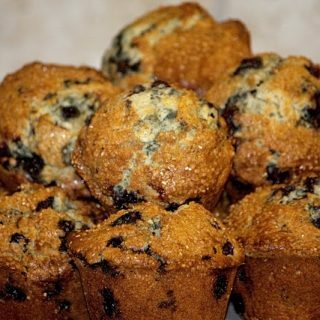 I have been using Greek yogurt in my baked goods for some time now, replacing the evil sour cream with a healthy alternative, so this was a no brainer for me!So when Chobani called I made muffins, not only muffins but Very Berry Muffins!! Mix all your dry ingredients together in one bowl. Lightly beat the eggs and add in the Chobani Yogurt, oil, vanilla, and lemon, and juice from the lemon. Mix all these ingredients until well blended. Add wet mixture to dry mixture and mix just enough to blend. Sprinkle tops with Raw Sugar and bake for 25-30 minutes at 375 degrees until the tops are golden brown. Now of course you know that I just couldn’t make muffins and be happy. So I started thinking about what else I could make with that incredible delicious Chobani Greek YogurtDo you know they sent me Pineapple Yogurt, have you ever had Pineapple yogurt……I would have made something out of it, If I hadn’t devoured it immediately upon opening! So there are no wonderful Pineapple recipes…..sigh….not yet anyway. 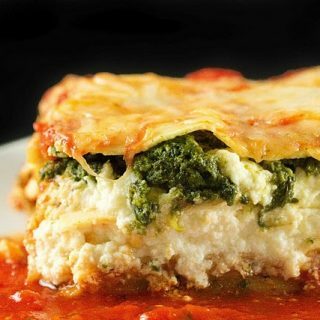 I actually knew right away what I wanted to make, I have been using Greek Yogurt as a partial replacement for Cream in some of my pasta sauces but I was only replacing half the cream……..this time I would replace it all. My wife loves fettuccine Alfredo, and of course we need to eat more vegetables so I created a Greek Yogurt Pasta Primavera. Start by getting all of your veggies ready, and feel free to be creative and cut them into different shapes. Pretty food always tastes better and different shapes add a pleasing look to your dish! The first thing to do is start your pasta water boiling, and measure out your yogurt and allow it to come to room temperature. Cook your pasta per the instructions on the box. Add the grated cheese and mix well, turn the heat down to low and allow the mixture to reduce slightly. Now here is the only tricky part to the meal, as soon as the pasta is ready put your veggies back on for a quick reheat. In a large bowl add your pasta, the Chobani Yogurt and the milk/cheese mixture. Toss this all together to blend well. Feel free to add in another handful of grated cheese if you like, season with pepper and plate it into servings or on one large serving platter, then top with your beautiful vegetables! Either way you serve this pasta dish, it will definitely make an impression!! Now for the best part, you left out all of the evil heavy cream!! So you can enjoy a wonderful pasta primavera with out any of the guilt! Head on over to the Chobani Yogurt Website and check out my post over there! You’re going to love it! Now here’s the best part, one of my readers is going to get a case of Chobani for simply leaving a comment and letting me know what your favorite Chobani Flavor is. If you leave a comment on the Chobani website you get another chance to win. So here we are once again to talk about the site we love, that drives us crazy, Foodbuzz!!! What is the buzz, how does the buzz works, why can’t I get on the top 9!!!!!!! So many questions, so little time! Actually we have covered those topics already so dig into the Ask Chef Dennis archives listed at the top of my blog. Today’s foodbuzz question does concern the top 9 again, but I felt it was important to cover it, because two of my friends didn’t know about it. We have talked about posting your blog on foodbuzz yourself, instead of just letting your feed auto post it. There are a few reasons to do this, and I don’t want to hear your too busy, trust me I’m too busy and believe me I still do it. Now here’s a new reason to post your own blogpost, after you post it, hit the edit button, and pick the categories you want your post in. You get to pick two categories, if you let foodbuzz do it they only pick one, and it’s not always the right one….they had my stuffed flounder in the baked category….hmmm, well it was baked. Ok so I gave you two good reasons to post your blog post. Now here’s another thing to remember, if for some reason you have two of the same post up (it does happen), or if you post a blog post and a recipe post, your buzz points are going to be divided. That means if you are trying to hit 99, some of your buzz points will be diverted to the other post. So we got you posting your blog post, you picked your image, and you even get to pick your categories now…. So how do we get to 99, well you need buzz points, how do you get buzz points? Your friends have to vote for your post! In order for your friends to know you have a new post, you have to share your post. aha……..right after you do post, your blog page comes up on the screen and at the top of the post are your options Share, Comment, Save, Edit and Delete. You can also access the options by going to your home foodbuzz page and clicking activity, all of your posts will come up in order with your latest being first. Click on a post and the options appear. This is also where you would edit your post, did you misspell something, or want to change the title of your foodbuzz post, tags, categories, or description, here is where you would make your changes. This is also where you could delete a post if you accidentally submitted two, or added a recipe post. You can also leave a comment for your friends on the comment option, or save it to your favorites by hitting save. ok that was a lot to cover, if you still have questions please feel free to email me! I had a question about how I shoot my images. I am sorry I don’t have pictures of my set up to share, but I promise they will be coming within the next few weeks, I am still working on my set up. I do have a small area set aside for my food photography, and currently its just a desk top. I have my rolls of paper sitting on top of boxes and my Lowel Ego Lights on either side of the paper. When I shoot I am using two lenses, I just got a 100mm macro lens for my camera so that one does all the really cool close ups, I am still learning how to use it, sometimes too much is out of focus. I also have the lens that came with the camera which is a 28-135mm zoom. The zoom does give me the flexibility to crop as I want without moving. But the macro takes killer close ups and is a much better lens. When I shoot a do at least two angles, one is from above at about 45 degrees shooting down. The other is at eye level with the subject, or just slightly higher than level, this gives a nice perspective of what you made. I do like to shoot straight down as well, but I need to get a step stool out and raise my tripod all the way up (I’m working on that). Natural light is always the best when you can use it, and remember to always use a tripod it will make the world of difference in your shots. A great tool to have even if shooting with natural light is something to bounce light onto your subject, a large white poster board can do this easily. Just place opposite the light side and it will reflect light back on your subject, filling in some of the shadows. I have done some work to my blog, I hope last weeks tips helped some of you with your blogs. I am still debating whether to switch over to wordpress, and I haven’t found out why its so much better, I just keep hearing it is…..if you know the actual reasons or what you can do that I can’t please tell me! I think the major stumbling block with wordpress is you need someone who actually know what there doing to help you make the move and also to redesign your page……sigh…..
One of my friends recently had an image stolen and posted on a website without any link, it was a site in Spain, and when she asked it be removed (which it was) the jerk left an abusive comment on her page. So her comment moderation went back up. The spam filters are really good at stopping spam , but not abusive comments. So this leads me to my next topic. copyrighting and watermarks, make sure you have some sort of copyright on your blog, also place a notification on your blog that you reserve all the rights to content and images…..I will be adding watermarks to my image as soon as I remember how to do it. I do hate them but I think you have to do it. I also installed a new tacking software, that lets you know if any of our content or pictures were copied. Its called Blog Copy and its free. Now while it tells you what has been copied and when, it doesn’t tell you who. So I don’t know how useful it really is, do you want to know that your content and images were copied if you can’t do anything about it? Well if anyone knows more about Blog Copy and why its so good please let me know. For now its prominently displayed and hopefully it makes a good deterrent! Well my friends that’s it for today, it’s getting late and 4am is just around the corner, and even after the 8 inches of snow we got this morning so is spring! Come on Spring!!!! That also means my farmers market will be opening……sigh…….and dare I say it, zucchini blossoms will be coming into bloom soon after that! Such amazing information! I just posted my own blog post of foodbuzz thanks to your instruction! I'm finally figuring out how to use it! Thanks for so much help! And your dishes with the chobani yogurt look amazingly delicious…as always! I like the Chobani with rasberry on the bottom. Yum! I was so happy to see this article on Greek yogurt seeing as my wife and I have now switched from regular yogurt. We are actually using it with a cereal in the morning, as well as other recipes. I really want to try this pasta dish that you've created. Chef, your advice on Foodbuzz is very helpful. Many thanks for your generosity in sharing your knowledge with us. This recipe sounds sooooo good, I am such a fan of the pineapple flavor Chobani!!! I am working on 52 ways to enjoy Greek yogurt, I love it that much:) I just started including water marks on my photos, and am working on getting an account with Free Copywrite, so we can protect our blogs, and the contents. So frustrating to see this happens more often then I ever realized. Thank you for sharing some of your knowedge and practice with us. 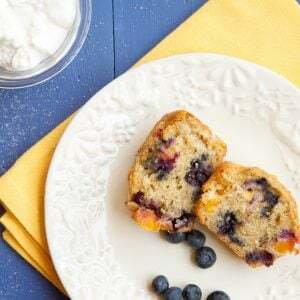 Love the very berry muffins, yum! Have a nice weekend! Dennis, I really appreciate your help with the Foodbuzz questions; it helps a lot! I am not a publisher, maybe I'll join in the fun one day, but I do enjoy the all the perks…especially 'meeting' all the fabulous food bloggers via Foodbuzz. Gotta love Chobani! Such a wonderful way to use it, Dennis! I always enjoy your Ask Chef Dennis posts. Very thoughtful and I'm sure folks are getting a ton out of them. Great Advice, Chef! Thanks for sharing. And you're so lucky to get all that yummy yogurt. I Loooove greek style yogurt and I know I'll never get to cook with them … nom nom…..(is sour cream really evil? I love it too! sigh). Great pics as always and those muffins? I WANT!! Great post as usual Chef!!!! Chobani was on sale at Whole Foods this weekend, so I got a bunch of the flavors. I've been a sucker for pineapple yogurt since I was a kid, and there's is great, but the honey is rocking my world too! Congrats on your guest post with them!!! And thank you for all of your wisdom re: foodbuzz, photography, and copyrights! Happy Thursday! I've heard so much about Chobani but never actually tried it. I'm interested though. The Very Berry Muffins look 'berry' good! 🙂 And the pasta looks scrumptious! I going to go check it out now! I stumbled upon chobani and am a huge fan! So far I've only tried the 0% plain and enjoy it every morning with frozen mixed berries and some fiber one cereal! Very delicious. I will try both of your recipes too…they look amazing! Another excellent post Dennis. You are just amazing! I discovered Chobani not long ago and also have found a very similar yogurt at Trader Joe's. I too have been using it for so many things other than just eating. And I have to say Pineapple is one of my favorite! Wonderful information, once again. I agree about shooting from different angles. So many times I get caught up in just one angle or direction and then I forget to move the plate around and try different things. Many times something that I didn't really thing about at first ends up being my best shot! Hey Dennis, love those Chobani recipes! Using it in pasta is such a great idea to lighten-up a cream sauce. Nice work with that yogurt. Pineapple is not a flavor I usually eat, but it does make a lot of sense for a few Asian recipes I follow. And, as always, thanks for sharing your knowledge. You're an excellent teacher. I have bookmarked all of these posts and must admit I never endeavor to read without pen and paper handy! These tips are so basic yet 'life changing' Dennis. What a wonderful teacher and resource you are for all of us. The food looks fantastic. You have really innovated the yougurt showing how much can be done when one has vision. I bet they taste great too! 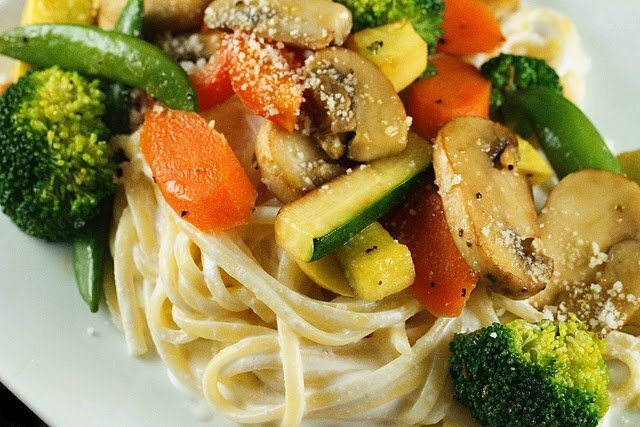 Greek Yogurt Pasta Primavera sounds excellent, on my way to check out your post! I cannot wait to see your pasta primavera recipe. It sounds wonderful. I am trying to eat healthier and that sounds perfect. Great yogurt recipes, Dennis. I use it often in place of sour cream or creme fraiche. As far as FoodBuzz is concerned, I pay no attention to the top 9 and don't care if I ever make it or not. Guess that makes me an odd duck. There's just not enough time to worry about something like that…I blog for fun. most part, I'm happy with them. I seem to have better luck dealing with them via Google Chrome. Greek yogurt is fantastic! 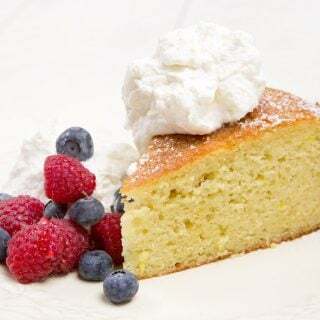 I use it unstead of sour cream and it works so well in baking to substitute some of the fattier cream. Great post! Everything looks delicious, and my favorite Chobani flavor is blueberry! Chef – thanks for all the great advice! I would love to hear more of your pros/cons on switching to WordPress, thanks Dennis! Sorry for the delay in responding and a big thank you for answering my questions regularly! I replaced sour cream (and often cream) with yogurt two years ago and never looked back. That said – yes, I will be travelling to Chobani because that pasta primavera is inside my being and will rattle until I make it! Maybe I can trick myself into thinking "if I make it, spring will come." I switched from blogspot to wordpress, and have never looked back. I adore wordpress because it's platform is just easy and has a much more professional field…also, I hate the commenting system of blogspot. I don't like the pop-up windows, or the word verification that comes up in many blogspot blogs. The only thing is sooo many people send me their posts, and it takes a bit of time to read through them…and you have to click on each post to delete them, too. I wish Foodbuzz can change the interface of that. The muffins do look wonderful. They make me want summer to hurry here! I had two different people ask me to stop Spamming them on Foodbuzz this week. I was taken aback, because isn't sharing part of the community of foodbuzz?! It gave me such a complex that I am taking a break from the share button. Chef Dennis, excellent post, I found it very helpful. I will look into blog copy, and also I want to know why some say wordpress is better. As soon as you find out let us know. Congrats on your post for Chobani Yogurt. The honey is my favorite! I['m still trying to like Greek style yogurt, I just can't get past the texture. Maybe I need to try it in some recipes instead of eating it straight up? My favority Chobani flavor is Strawberry! It is by far, THE BEST, strawberry yogurt out there! Just had my first Chobani today!! Loveddd it. For about a year I have been adding my own fruits to Fage plain greek yogurt but Chobani is so much creamier. Any tips on how to find it for cheaper that $1.79 a pop at the grocery store?? I never had Chobani yoghurt. I don't know if it's available in the UK. Much appreciated about the blog copy info. I feel sorry for your friend who received the abuse from that jerk. Both recipes sound great! My favorite Chobani flavor is Blueberry! I love the thought of greek yogurt in a sauce! I haven't tried this myself but have wanted to! So healthy! Now, how did I NOT know about SHARING on FB? So that means all my new posts never went to anyone except myself? Oh well, expect some SHARING starting today! Thanks for all those tips and taking time to explain it all, so helpful! Both the muffins and the pasta look amazingly delicious! And that pineapple yogurt sounds yummy, too. And thanks so much for all the FB tips. It's so nice of you to take the time to explain these things. Hi Dennis – Love the fettuccini dish! And thanks for all the good tips! You are a mountain of information! You know how I love my Greek yogurt! I just tried the pineapple & loved it, but I think the peach is my favorite. It just screams summer! And I cannot wait for summer to get here! The recipes look fabulous. I havent tried Chobani yet, as I havent had much luck with most yogurts made here in the states. After reading your blog I am off to the grocery store! Will let you know how it goes. Hi Dennis-I love Chobani yogurt, and love to add fresh berries with it, or a little natural honey. 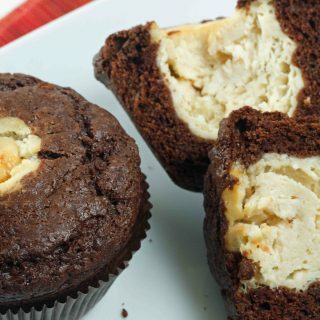 I am craving for these insanely amazing muffins of yours. Can't wait to get the recipe! I love using yogurt in baking to cut down on fat, but haven't tried Greek yogurt. I'm sure it is much more creamy. That primavera looks wonderful! Yum! I love cooking with yogurt, both of those look amazing, and thanks for the foodbuzz tips! That pasta primavera looks delicious! I have never tried Greek yogurt in a pasta sauce but now I'm intrigued. Going to the Chobani site for the recipe! The Chobani was calling to me in the store the other day and I turned the other way…regretfully! I tried a different Greek yogurt a few months ago and I tried really hard to make myself like it. Sigh. You have given me the oomph to try Chobani. 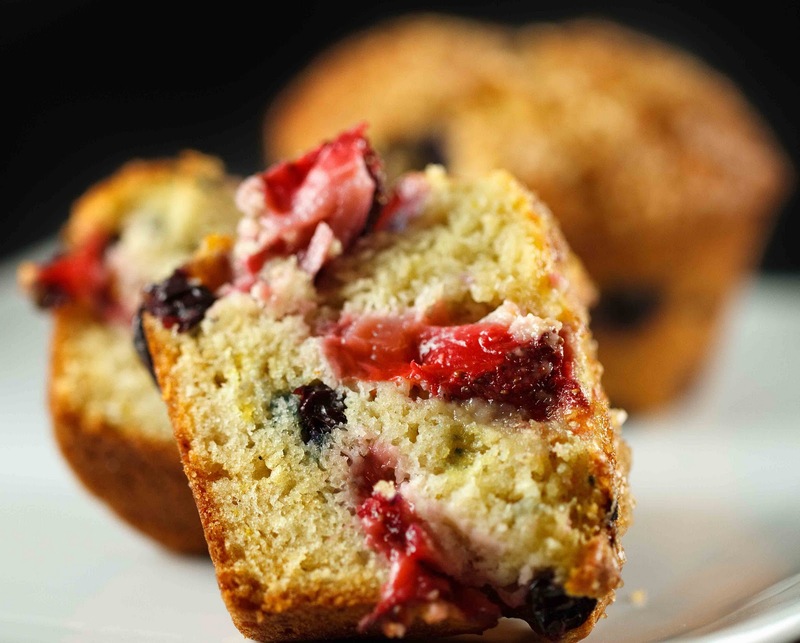 Beautiful muffins…yes, very Berry and very Pretty! Chobani Honey! That's my favorite. Congrats! Looking forward to seeing your recipe on their site. And great Foodbuzz tips, as always! I just bought Black Cherry Chobani, and it was wonderful. I have been replacing yogurt for sour cream for many years, however I have not baked with the Chobani yet. I can't wait to try your muffins. As for Blogger, Thank you, Thank you, for all of your tips to make your blog pretty. I tried several of them, and they turned out well, I think. And as for Chobani Yogurt, my favorite would be the versatile 2% Plain Greek Yogurt! You feed my eyes, imagination and aspirations. Loving the pasta dish and can't wait for the recipe to be posted. Hope the signs of spring are doubling every day! I love the idea of replacing cream with yogurt! It would seriously cut the fat and calories. Great idea and great post! 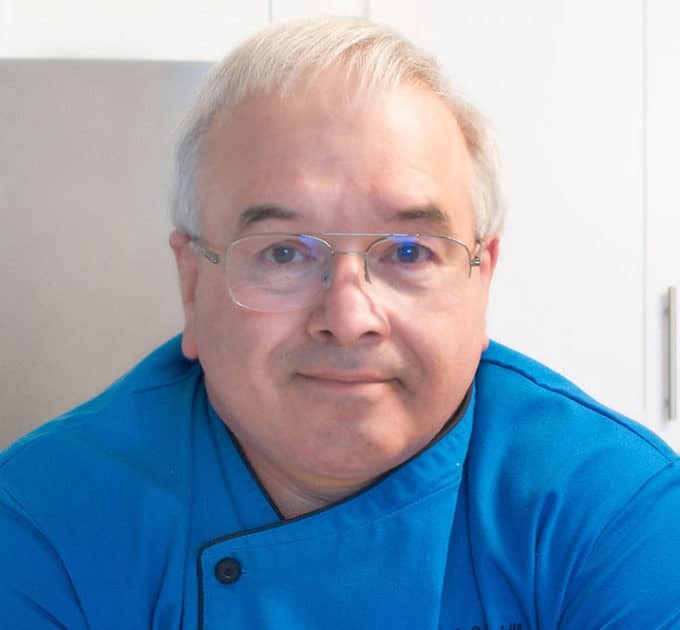 one of these days i'm gonna set aside as chef dennis day…to scour your blog…it's like a novel…got to take up from where you finish kinda thing…great goin chef!! It's been awhile since I last visited your blog and a lot has changed. Love all the changes espically the Ask Chef Dennis section. So much good information! Thanks for sharing all of those great tips. Que cosa tan rica, esto es delicioso. Have a nice day and Spring is the most beautiful time of the year ….beautiful flowers everywhere. I love these muffins, I can't wait to grab the recipe and bake them for my grandmother!!!! The primavera is equally awesome, and the colors of those tantalizing veggies….LOVE! the pineapple chobani sounds to die for, that would be the first one I would eat too haha! love the info on blog copy…….and the thought of those zucchini blossoms are almost too much for this soul to bear…sigh! Now I just wish I were home from work tomorrow to bake these muffins. I love baking with yogurt too. It just makes everything so much softer. One of my friends wants to start a food blog. The one person I'm sending her to? You! Your Ask Dennis posts are so informative. I love them. And I love chobani too! You know me, I would love to try that muffin recipe, but they both look scrumptious. Thanks for sharing, sweet man! I actually had their pineapple yogurt today for breakfast – it was quite tasty! I adore greek yogurt and theirs is actually one of the best around. Your muffins look amazing – nice job!! I have been using yogurt for a long time instead of "evil" (LOL) sour cream – in Serbia we use yogurt as much as milk, it seems. I am glad to see that it's gaining popularity in the U.S., especially plain yogurt. Pasta primavera is one of the favorites in our house, and even though I made the Alfredo using yogurt, this is an awesome idea – makes it lighter now that the spring is ahead. I love visiting your blog- you are so patient with your answers and explanations. Chef, there is an option in WordPress to "moderate" your comments before they are posted to your blog, so you have full control. 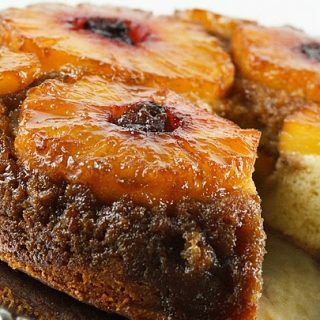 Great photos and great recipes! Thanks so much for the refresher on FB, still overwhelming but your posts help. Favorite Chobani? The one in my fridge! I really love them all but buy alot of plain to add in to smoothies or as a cushion for fruit. The primavera looks beautiful – will definitely have to try your version with the yogurt!!! I'm loving the primavera. You're amazing with what you can come up with. I'm curious as to how that blog copy works. It actually concerns me a little and I'm going to have my guys look into it more. I'll let you know what I find out. i've been on wordpress and switch to blogger. i think blogger is better for layout/design but i do miss wordpress dashboard. it has some useful things that blogger is lacking. I'm looking for a crossing between the two. The pasta primavera looks delicious and healthy. I love yogurt in cooking and am looking for more ways to incorporate it. My favorite Chobani flavor is strawberry! I can't believe it's mid week already!!! I hope you are having an awesome week.